In May 2012 I was invited as international judge to participate in the South African Trophy Wine Show which took place in Paarl in the Cape winelands. One of the great privileges of judging this event is the opportunity to attend a unique pre-competition tasting of historic Cape wines put together by the wine show’s president, journalist and show judge Michael Fridjhon. Michael first assembled dozens of vintages of historic wines as the basis for an article he wrote for World of Fine Wine a few years ago, but the participants found the event so fascinating that it has become a fixture of the pre-show entertainment. The wines were extraordinary. Firstly, the whites were a huge surprise: who would have thought that Sauvignon Blanc, Chenin or Cruchen could age so well? The much older reds were more patchy, with one or two that had not stood the test of time, but another dozen drank beautifully after 10, 30, even 50 years. 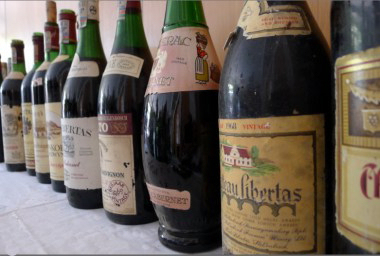 Some exquisite examples came from the 1960s, long before the ‘new’ South Africa was born and a time when only around 10 table wine producers supplied a tiny local market. Michael makes no promises for the condition of the wines, though all are from top estates and most from extremely good vintages. As Michael says “for all the causalities there are some extraordinary old wines out there,” and Michael is at pains to see the tasting as an opportunity to learn and discuss the wines: “these are not wines to open casually over dinner,” he says, but clearly wines to contemplate and consider in the history of Cape winemaking. 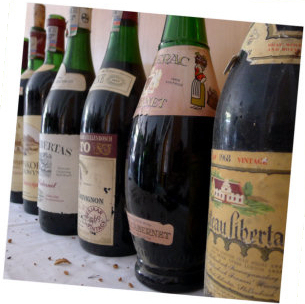 Judging and scoring such old wines as these, especially from such an unfamiliar country in terms of seriously aged wines, is not easy. I looked for wines that were still harmonious, still had the fruit and the structure to impress, and wines where the acidity was not too prominent (often it outlasts fruit in old wines). I was very surprised by how many of these passed with flying colours, even though the nose seemed tired, oxidised or maderised in some cases, the palate often delivered real drinking pleasure. Delightful nose, after 26 years showing real Sauvignon character with smoke-infused green bean notes and something roasted and deep. On the palate it is full flavoured and fantastically pithy and zesty, again that Earl Grey tea-like infusion and fine acidity. 91/100. From Tulbagh. Quite an old nose here, much less varietally expressive, with a touch of decaying old wine character. On the palate it seems quite rich, perhaps with a touch of Botrytis, but then scything acidity sweeps in though giving a bit of mouth-watering juiciness. 88/100. One of my favourite whites of the day, this has a bright yellow colour and classic wax, lanolin and wet wool nose, but also plenty of Brazil nut richness and toast. Terrifically punchy on the palate, there’s a decisive blast of grapefruit and Seville orange, and this is thrillingly vibrant. 92/100. A wine that Michael Fridjhon says would almost certainly have been made from ‘smuggled fruit’, with many growers in this era avoiding boycotts by importing vines as ‘advertising material’ via Swaziland. Golden hints to its yellow colour, quite creamy and nutty with a touch of oxidation, but still plenty of cool apple fruit. The palate is all lemon zest and pithiness, with plenty of vibrant acidity, though perhaps that’s at the expense of a little plump charm. 89/100. This has a deep, buttercup yellow colour and little salty and briny notes, like seaweed on a wet beach. Again the palate here is focused on acidity – just a little too much of it in an otherwise interesting wine. 88/100. My favourite Chardonnay of the three, this has a deep, burnished gold colour and there’s real ripeness here, a buttery, slightly cabbagey Burgundian character. The palate has vestiges of that very ripe fruit, and it is still quite full. Acidity sweeps through, but this finishes very harmoniously. 92/100. (Picture courtesy Henre Rossouw). Deep gold colour. Interesting waxy nose, quite old Riesling like, with lanolin and herbs too. Slightly too much acidity on the palate now, and just a touch of decay to the flavour profile. 86/100. Aromatically very youthful, with bright, clean fruit touched by honey. Even a hint of toffee to the edge of the crunchy apple fruit. The palate has a searing core of grapefruit and lemon pith acidity, but it has a limey vitality, and just hints at sweet tropical fruit. 90/100. Really quite a dark colour, some toffeed character of maderisation, but fine herbal aromatics do come through with a hint of mint leaf. On the palate it is delicately off-dry, with a delicious length, really quite a pure fruit precision and good acid balance to the sweetness. 89/100. The best guesses from some of the winemakers in the room were that this would be Cruchen and Clairette. Fairly murky brown colour, with plenty of oxidation and some decaying aromas. Definitely still some pleasure on the palate though, with a clear, almost mineral salts acidity and yes, a hint of juicy fruit too. Old, fragile, but interesting. 86/100. This wine has a promising blood red but quite solid colour, thought there are oxidised notes on the nose, and a slightly ferrous character. On the palate the sweet fruit is more than holding on, with a touch of chocolaty richness still, juiciness and some spice. A surprisingly enjoyable Ruby Cabernet, thought it was pointed out that at this time Ruby was one of a small list of new varieties for South Africa which could be bottled as varietal wines even with as little as 30% of variety in the blend. 88/100. Lots of sediment in the glass, the wine is quite brown and light in colour, with an earthy, decaying sweetness suggested on the nose. There’s a stripe of green underripeness too. Again the palate surprises by still having vestiges of sweet fruit and a savoury, spicy character. The green tannin is a little noticeable. 87/100. Deep colour, browning on rim, quite barnyardy and animal aromas, some deep berries coming through. Really quite delicious fruit on the palate still, with that animal, truffly note apparent, even though the tannins and acid are a touch angular on the finish. 88/100. Very dark and still quite vibrant colour. Impression of super ripeness too, and on the palate the sweetness of fruit is indeed there, quite abundantly with a hint of chocolate and juicy acids giving a tangy finish. 90/100. Lots of sediment again, and a rather faded colour. Doesn’t seem an entirely happy wine to me, with a bit of funky, possibly Bretty character, certainly some volatility and oxidised decay. Once again, the sweetness of fruit on the palate surprises after that nose, though it is fairly fleeting, with the tired, decaying character overtaking. 86/100. Very youthful, ruby colour just light on the rim. Gorgeous nose, a touch of leafy Cabernet character, earthiness and solid black fruit at core. The palate is a touch austere, with lots of lemony acidity quite prominent and firm tannins. Not a fleshy wine now, but enjoyably spicy and lean. 88/100. Rich blood red colour, just tawny on rim. Leafy nose, earthy and with a slightly vegetal character. The palate is flooded with sweet fruit with great concentration and ripeness, spicy and chocolaty tannins have a smooth appeal into a long finish. 92/100. Browning/tawny colour. A little decayed character, some gravy browning oxidation and not a huge amount of fruit. The palate has vestiges of that fruit, but now wrapped in a decay of damp leaves and forest floor, though acidity quite elegant. 88/100. Astonishingly dense, deep, vibrant colour, just orange on rim. There’s a brooding presence here, and I thought just a touch of Brettanomyces that does not detract, but adds to the spice, deep fruit and gravelly aromas. The palate is still full of cool, crisp black fruit. The whole picture is fairly lean, but the balance is impeccable, the acids and tannins cutting through hints of chocolaty richness to the fruit. A lovely wine, refined and much better than the 1976. 93/100. The guess is that once again the percentage of Cabernet here could be as low as 50% or so, the rest possibly Cinsault. The colour is quite deep and youthful, though with a broad, pale rim. This is ripe and slightly curranty, giving a real impression of sweetness. The palate displays a lovely cool, sour cherry acidity and has very nice balance with enough solid red and black fruit and a coffee-infused finish. 90-91/100. Quite dark, with a gravy colour and old, oxidised nose showing lots of leafy decay making it a little difficult to discern the fruit. I liked the sweetness of this on the palate, a real coffee edge, though the acid does come through slightly stridently, and indeed the fruit is just slightly lacking. 86/100. Another wine with quite a deep colour, though distinctly tawny on the rim. A quick blast of something quite minty is startlingly youthful, but then the more aged, earthy characters come through, with some bloody and coffee notes. On the palate this has nice balance, the texture is full and rich and has a certain creaminess. The tannins are quite soft but there’s a big hit of sour cherry acidity and this finishes quite fine. 91/100. Again the suspicion from local experts was that a high percentage of this would be Cinsault. This has a nice solid colour and gently browning rim. There is still good fruit amongst the spicy and earthy notes and the hint of leafiness. On the palate there is no shortage of tangy acidity, the citrussy bite very enjoyable because it is more or less matched by the wine’s core of fruit. 91/100. Very good colour with pale rim. There is earthy sweetness here, but little sign of decay. Some slightly underripe rhubarb character, but very pleasant. On the palate there is a cappuccino silkiness and warmth here, in a wine that feels as if it is tipping past its best, but which has really lovely sweetness, good acidity and enough tannin to give a hint of structure in a most enjoyable 52-year-old wine. 91/100. I enjoyed this wine much more than the Shiraz from Bertrams, though in truth it still was not a great ‘Port’ in terms of absolute quality. Mahogany in colour, there is good chocolate and truffle, but a touch of varnishy shellac too, the walnutty warmth just holding on. Lovely sweetness of fruit and chocolate on the palate, lots of coffee, and the creaminess of the texture is good. Quite simple, decent balance, and a really interesting old wine experience. 89/100. A huge thanks to Michael Fridjhon and his team.